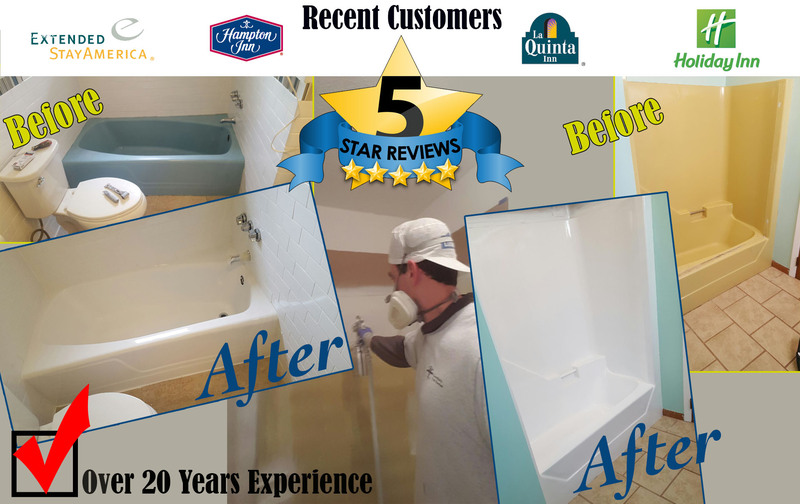 Atlanta's Most Experienced Bathtub Refinisher! 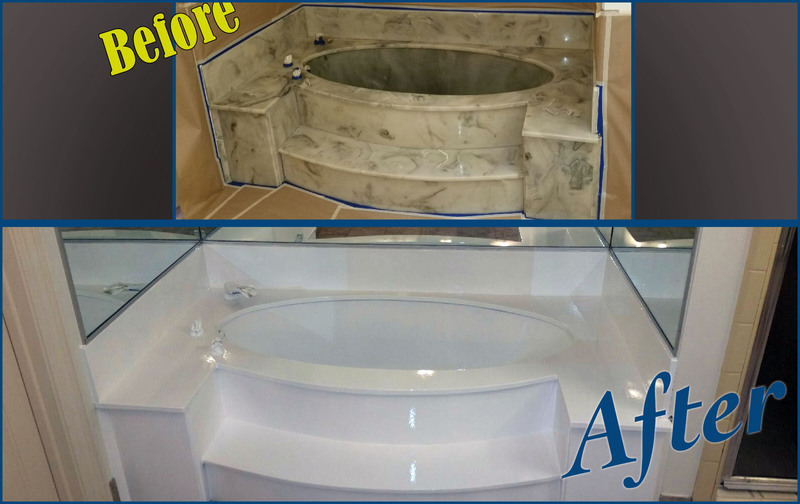 Don’t replace your old tub, get Atlanta’s local Bathtub Refinishing Company to repair it. When You Get Your Tub Refinished, You Save In So Many Ways! Are you tired of your old tub? Could your bathroom use a face-lift in the form of tub resurfacing? 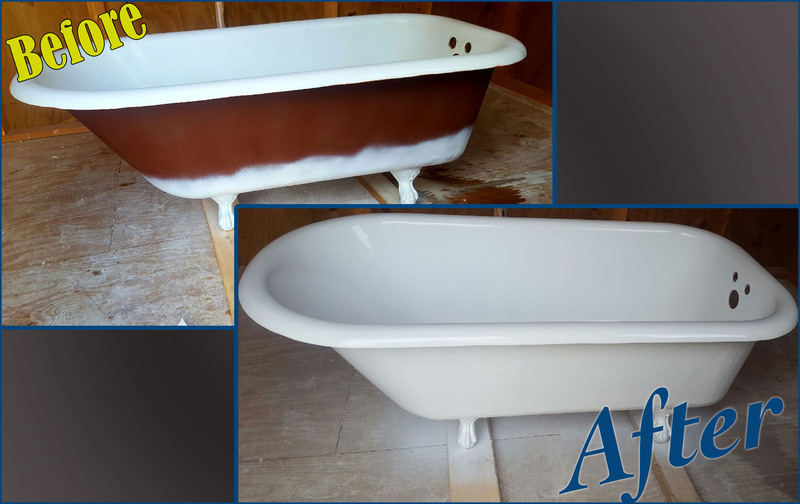 Does your old tub have unattractive cracks and chips, or a dingy, discolored and outdated appearance? Is the tile surrounding your tub in desperate need of repair? Have you been thinking about getting a bathtub refinishing kit? We can help you! 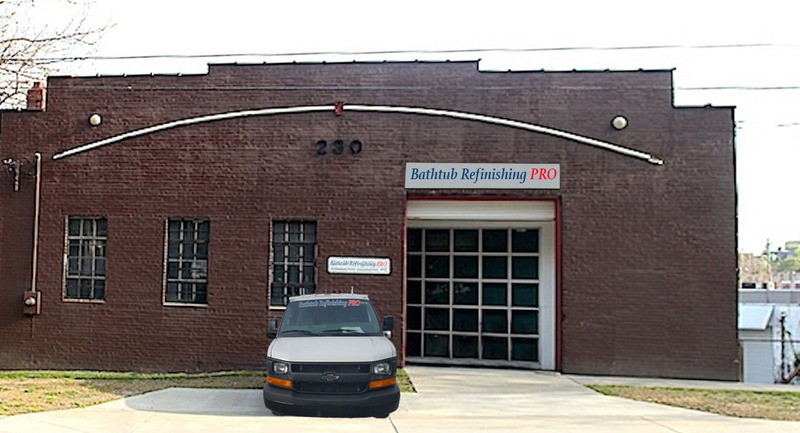 Bathtub Refinishing Pro in Atlanta, GA is the best tub refinishing and bathtub repair. If you would like to renovate your bathroom to get it repaired and modernized, but have been putting it off because of how much it would cost, you don’t have to wait any longer! 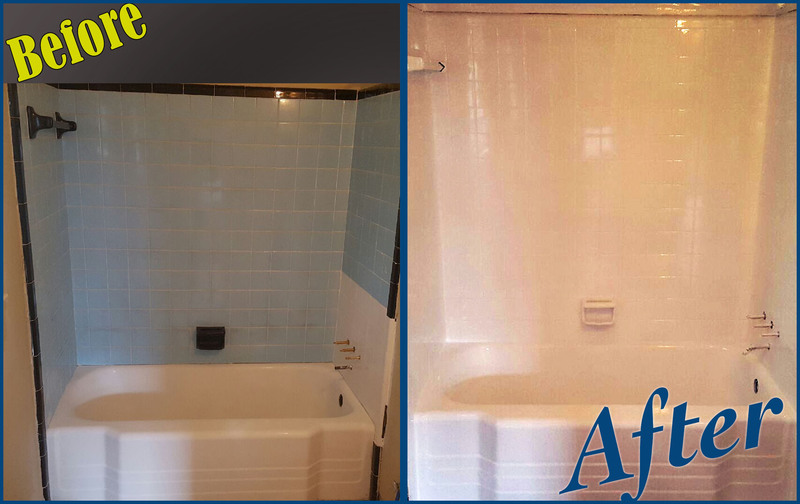 Instead of replacing your old tub with a new one, ripping up your bathroom in the meanwhile, let us help you simply refinish your current tub! Bathtub refinishing gives your tub a fresh, brand-new appearance and repairs any flaws, while a newly reglazed tile surround adds an elegant touch. Altogether, we can provide your bathroom with a fantastic modernized appearance for only a fraction of the cost of replacing your tub. Simply call a Bathtub Refinishing Pro near me, to get started on reglazing your tub. Do you need to resurface your bathtub, reglaze your tile, or repair your fiberglass bathtub? Atlantas Best Bathtub Refinishers do it all. Repairing an old, outdated bathroom is not only important for aesthetic purposes, but it also significantly increases the value of your home. But have you thought about how much it will cost you altogether to buy a new tub, get your old tub taken out and properly disposed of it? The good news is that there is a simple solution that gives you a beautiful, updated bathroom without costing too much and making you feel stressed. 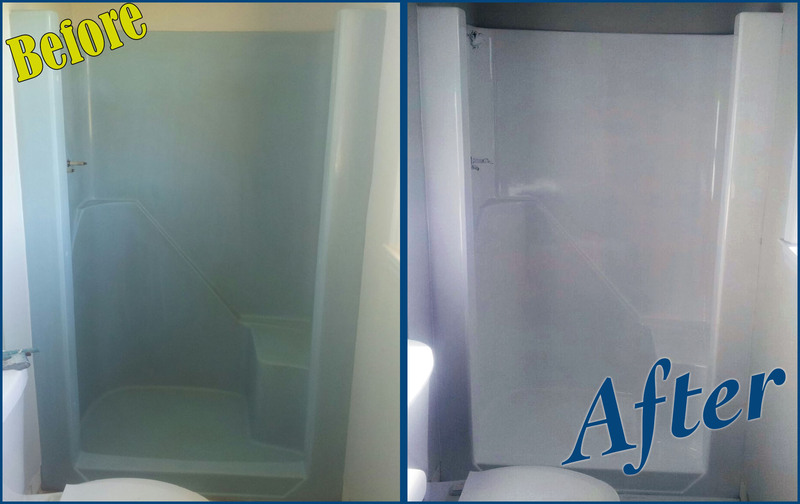 Hire us to help you with bathtub refinishing and you will reap some amazing results. 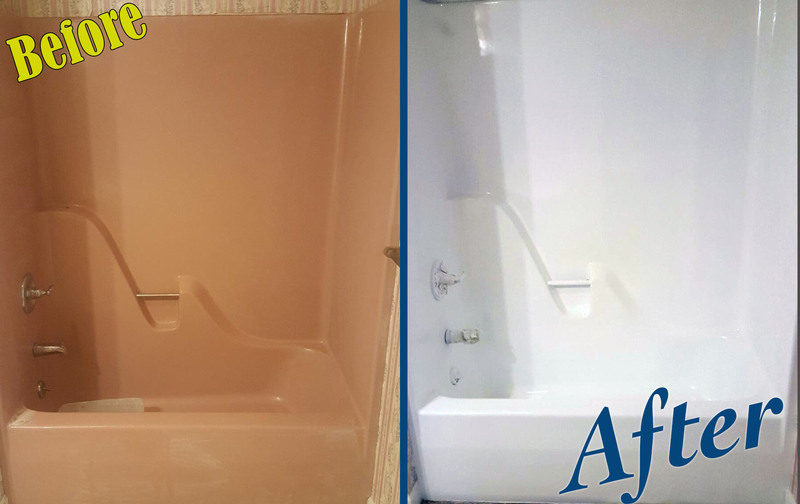 Are you tired of having a plain white tub, or one that is discolored and looks outdated by several decades? Check out all our different bathtub refinishing options! You can pick out a look that suits your personal style and the décor of your bathroom, getting the appearance of a whole new tub quickly and easily. Reglazing the tile surrounding your tub, giving the area an entirely updated and refurbished look. Buying a new tub for your bathroom can cost you so much time and energy. You have so many more important things to spend your free time doing, rather than endlessly searching through home improvement stores for just the right replacement tub. When you are searching for a new tub to replace your old one, there is so much to think about besides just which tub will look nicest in your bathroom. You also will need to take careful measurements to make sure you know which tub will fit in your bathroom. Of course, there is also the question of how you are going to remove and dispose of your old tub. What a pain!! All of this time and energy can be saved by simply choosing to have us refinish your bathtub. Have you ever really thought about the reality of taking your bathtub out of your bathroom? Bathtubs are so heavy and it will take a lot of strength, energy and caution to get that thing through the bathroom door and down the hall to your front door. Taking out a bathtub is no picnic. On the contrary, it can be extremely time-consuming, make a huge mess and even be pretty dangerous. You don’t want to put yourself and your family through all that hassle and stress. Any type of home renovation will cause some level of inconvenience, but having a major renovation going on in your bathroom is especially inconvenient. For a few days, while your old tub is ripped out, the new one is installed and the flooring and wall are repaired, your bathroom will be an enormous mess. You will also have to deal with all the accompanying noise. However, when we are providing you with bathtub reglazing, it will take less than a day. By the time you are ready to go to bed, instead of having an unfinished nightmare of a space, you will have a nice, clean bathroom that is highlighted by your beautiful new refinished tub. You have so many better things to do with your life, rather than spending hours in home improvement stores searching for a new bathtub that is the right size for your bathroom. Instead of wasting your precious free time and replacing your tub, hire an Atlanta Georgia contractor for fiberglass tub repair. One of the biggest benefits of getting your shower tile reglazed tub instead of replaced is that you won’t have to search for an experienced and professional handyman to do the job for you. Finding someone to remove your bathtub or shower and put in your new one takes a lot of time and money, since this is a hard and heavy job involving a lot of heavy lifting. Instead of going to all this trouble, hire a Bathtub Refinishing Pro. You can rest assured that you have made the right choice and you will not regret this decision. One of the downsides of home renovations is that they usually cost more money that you had originally thought they would. Unexpected problems can easily arise, requiring more money out of your pocket. But when you turn to our professional bathtub resurfacing company in Atlanta GA, you will know exactly how much it will cost to refinish your bathtub and tile and there will be no unexpected costs. Call us today and learn more! Quickly and easily modernize your bathroom by taking advantage of the bathtub repair services we offer. 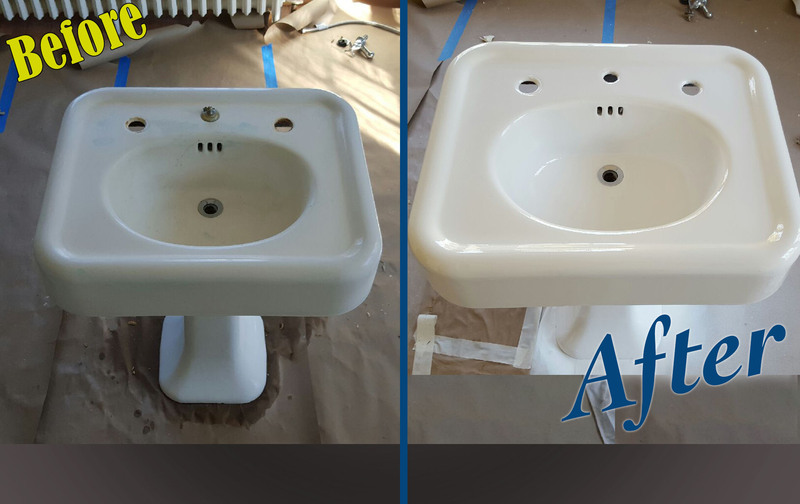 The entire look of your bathroom will be improved when the stained, chipped and dingy appearance of an old bathtub is repaired and resurfaced. A refinished tub is also a healthier tub, because an old, chipped and cracked tub poses the danger of lead poisoning. When we expertly refinish your tub, this hazardous possibility is eradicated. Having your bathtub refinished makes it more durable and gives it a longer life. This will save you money down the road and give you a more attractive tub for years to come.